New version is here. I've fixed a lot of bugs, added two new functions. If you could, please download it and try to use it for daily logging. I'm going to release rc1 and then final version 1.0.0 but it depends on bugs you will find. If you are keen in creating RPM packages, please try to create spec file and the package. I'd like to have version rc1 in RPM for Madriva, openSUSE and Fedora. Thank you. If you use deb package, just install new version. Nothing more. If you use tar.gz version, delete old version and create new directory for 1.0.0~beta2. It is described in article about CQRLOG 1.0.0~alpha1 release. It should work at any distribution but don’t forget to install MySQL server, MySQL client and hamlib libraries, first. If you’ll find a bug or will have a suggestion please let me know here to the CQRLOG’s forum or send me an email to petr@ok2cqr.com. I have also jabber and my jabber address is petr@ok2cqr.com (I have my own jabber server). Thank you. I tried the DEB install on my Ubuntu 10.04 system. Installed and ran fine, but the ADIF import did not import all the records. My file has approximately 1000 records. No errors, but there were several months worth of records that just didn't import. I also couldn't make the program see my K3 or WinKeyer. I'm going to try again, but had to roll back to 0.9.6. Anything I can provide that might help troubleshoot? could you please send me your adif file? I would like to find out what is wrong, thank you. Please run cqrlog in console, try to get K3 and WinKeyer work and send what cqrlog writes down. Thank you. I had some time to play with the new version today, and resolved my rig control problem. I had a configuration error. The rig control and winkeyer are now working properly. I fixed the ADIF import by splitting the file and importing in sections. I emailed the file to you for you to look at. It's working OK now. I'll continue to check for bugs, but the only problem I still see is the ADIF import issue. Thanks for a great program! Looking forward to the release. in the 0.9.6 version the output csv-file is always callsign-sorted. So if i choose "Print 2 QSOs on one label" works as i expected. In the new version the output order is the same as in the QSL-List window. So the csv is orderd by date/time (this is my normal setting in the list window). If I select callsign sorting only the first 500 calls are checked for print out. in version 1.0.0 you must use this function in different way. At first, use filter to choose which QSO you want to have on labels and sort that filter by callsign. It will work as expected and it will export all qso as well. Not only 500 QSO. QSL sorting is not so easy. It is not enought to sort it by DXCC and callsign. 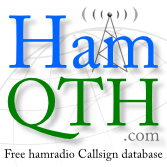 Callsigns like KH6/OK2CQR or DL/OK2CQR will end among KH6 or DL stations which is wrong. I have to create completely new sorting for this. It is quite a lof of code and quite a lot of changes into cqrlog source code. I don't want to do it into version 1.0. I decided to put these changes into next version e.g. 1.1 or so. This changes require a lot of testing and there is also a chance that I forget something and it will crash the application very often. I'm sorry about that. If this fuinction is used withou filter enabled and sorting not by callsign, CQRLOG will show message with warning. I'll add this to comming rc1 version.